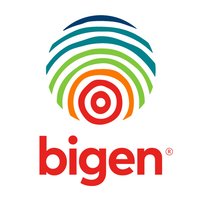 “The Bigen story has humble beginnings – it all started with the establishment of a small engineering consultancy in 1971. Our growth has seen us transform from a traditional engineering firm to an engineering firm with a conscience and ultimately an infrastructure development company committed to socio-economic well-being wherever we work. Today Bigen employs more than 400 professionals who are actively creating a sustainable impact throughout Africa. As proudly African, Bigen’s story of growth over 46 years into an influential, multinational group, working in Africa for the people of Africa, has embedded the impact of our indelible and reputable infrastructure development footprint across the continent. HR policies and procedures are relevant, compliant, and applied fairly and consistently. The HC function provides oversight and advice to ensure HR practices ad decisions are compliant to legislation and policies. Utilising technology to effectively manage HR administrative processes; to provide accurate, useful and readily available HR information; and to streamline and enhance the efficiency of HR processes. Provision of a range of great leadership programmes to develop leaders, and to develop the next generation of leaders. Successful administration of staffing processes.